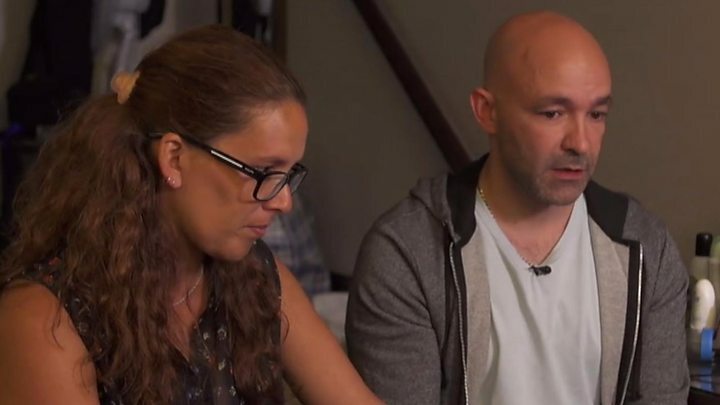 More than 300 families left homeless by the Grenfell Tower fire are still living in hotels, a report into the recovery and housing effort has said.The independent taskforce set up after the disaster found Kensington and Chelsea Council "failed its community" on 14 June and in the weeks afterwards.The 320 people in emergency housing include former residents, as well as those who lived in Grenfell's vicinity.Communities Secretary Sajid Javid criticised the "sluggish" response.Speaking in the Commons, he said residents had been "failed by a system that allowed the fire to happen", adding: "They were failed once again by a sluggish and chaotic response in the immediate aftermath." 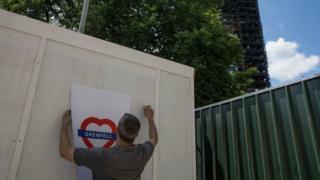 Mr Javid said efforts to re-house victims had been "painfully slow" - with just 26 out of 204 Grenfell Tower and Grenfell Walk families given permanent accommodation.The council's new leader, Elizabeth Campbell, said the local authority had "huge amounts of work to do".She has previously admitted rebuilding residents' trust could "take a generation" for survivors to trust. The taskforce, set up in the aftermath of the fire, has spent nine weeks looking at the recovery process run by the council. "The report pulls no punches about the fact that there is still significant room for improvement," Mr Javid said.The report, written by housing and local government experts appointed by the government, said the council needed to work more quickly, and cited accounts of "poor treatment" towards victims. It said: "While many staff did their best to help, a leadership vacuum aligned with siloed service delivery and a distant council that did not know its residents. "The report's authors met with survivors, concluding that many victims felt no-one was listening to their concerns.It nevertheless praised Kensington and Chelsea for "working hard to develop effective support and services to victims and survivors".Since the fire, many of those at the top of the council have quit, including leader Nick Paget-Brown and chief executive Nicholas Holgate. But the report criticised Kensington and Chelsea's lack of urgency, saying: "As the council tries to do everything at once, it is doing everything too slowly. 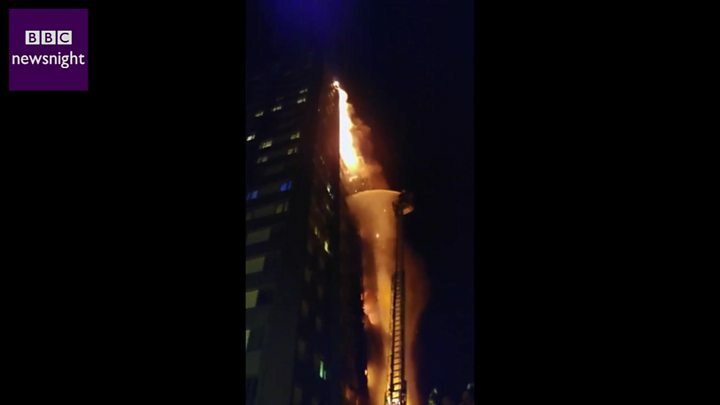 "It accused council members of lacking a "firm grasp" of the true scale of the recovery operation - saying some believed that "in a few months' time everything shall return to the way it used to be".It said it was "disappointing" that the tower, which is currently a crime scene, had not yet been covered, urging scaffold work to be completed with "greater haste". It said visible remains of the burnt-out tower "cast a shadow" over the entire area. "Any extended delays will further add to the ongoing trauma that the community is living with," the report said.Mr Javid suggested a number ways the council could improve - including increasing the pace of their work and the need for "greater empathy and emotional intelligence" towards victims.Shadow communities secretary Andrew Gwynne said children affected by the blaze were "still being failed" by the council - and claimed the figures presented by the government did not show how "bleak" the situation really is.